A dog was found lying, exhausted, on the side of the road in Phoenix, Arizona, by the Arizona Humane Society’s Emergency Animal Medical Technicians (EAMTs). 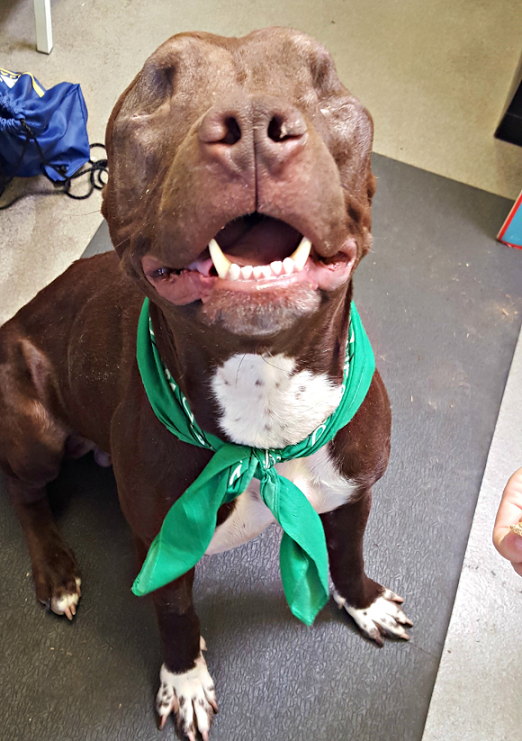 After several weeks of recovery, he was put up for adoption on March 13. Two-year-old Ashton, was “disoriented”, “confused” and was in severe pain with severely injured eyes—both eyes had popped out of their sockets— which had left him blind. Once rescued, he underwent surgery at Arizona Humane Society’s (AHS) Second Chance Animal Hospital, to have his eyes removed—it was his only option, the organization said. “Although his injuries healed quickly, Ashton initially struggled to adjust to being blind,”Arizona Humane Society said in a statement. 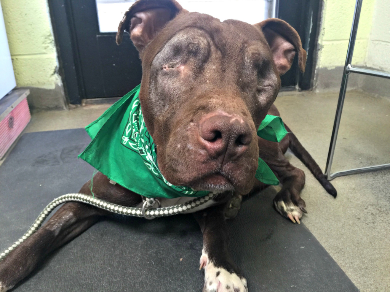 However, AHS’s behavior team, helped him along the way: They implemented a training plan and worked one-on-one with Ashton to help him adjust as a blind dog. He likes to jump to find people. 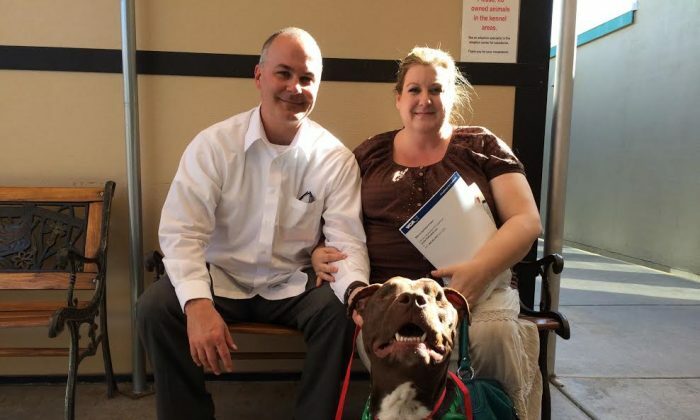 A spokesman for the Arizona Humane Society said: ‘We’re so proud of our Second Chance Animal Trauma Hospital and Behavior Team for all they’ve done for Ashton as he adapts to life as a blind dog,” reported Daily Mail. Despite not being able to see, Ashton still enjoys “dogly” things, such as, playing in the yard, learning new tricks, and getting belly rubs from staff and volunteers. After making a full recovery, Ashton, who the organization describes as having an “unwavering spirit” was adopted on March 14—within a day of advertizing—by a family who couldn’t wait to provide a new home for him.